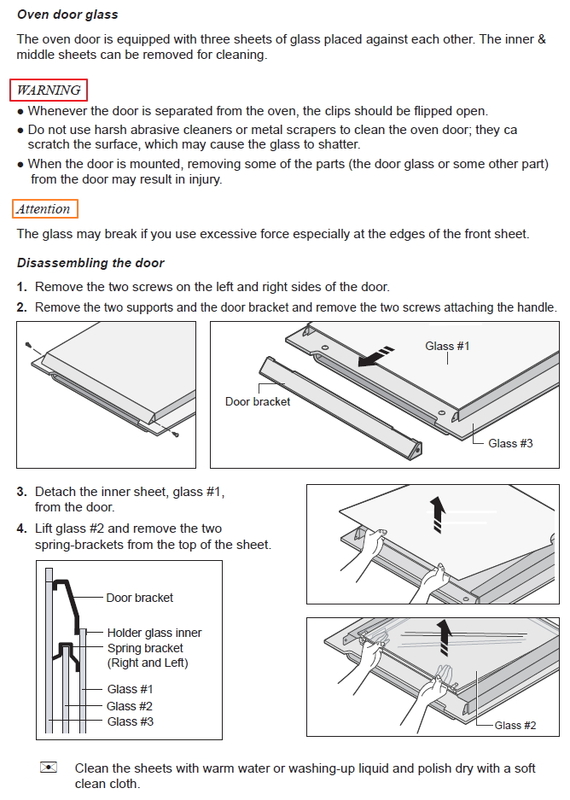 How to remove oven door and inner glass for cleaning for model BF64CCBST? 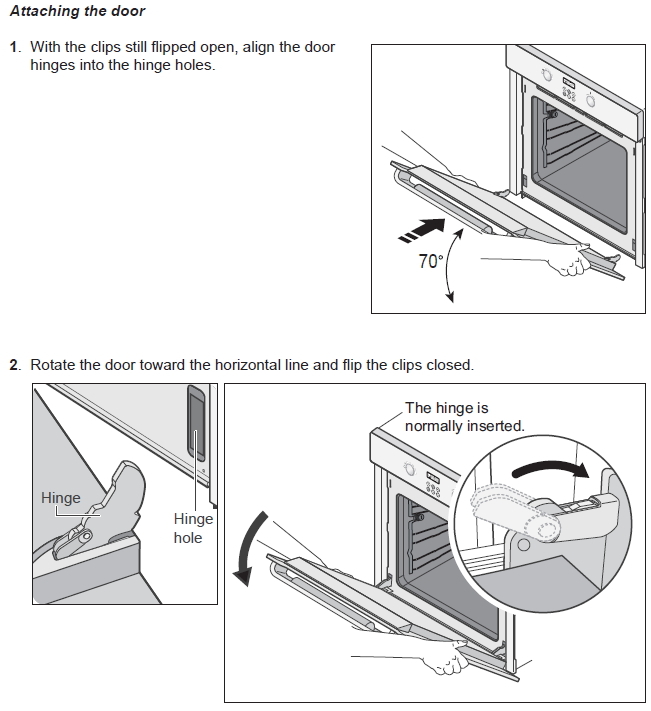 If you are looking for the instruction how to do this for the different model of Samsung oven please search support side of Samsung website http://www.samsung.com/nz/ using correct model number and/or refer to the user manual which is also available for download from Samsung web. 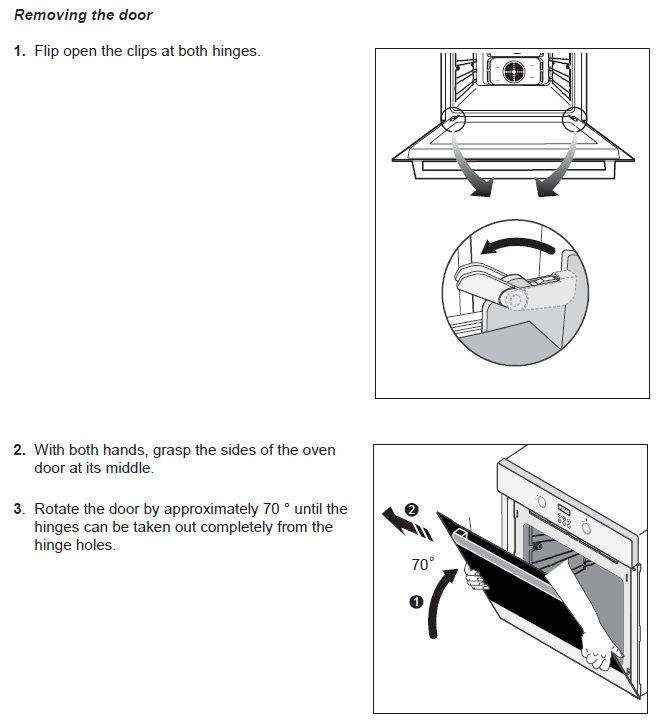 For normal use, the oven door should not be removed but if removal is necessary, for example, for cleaning, follow these instructions. The oven door is heavy. 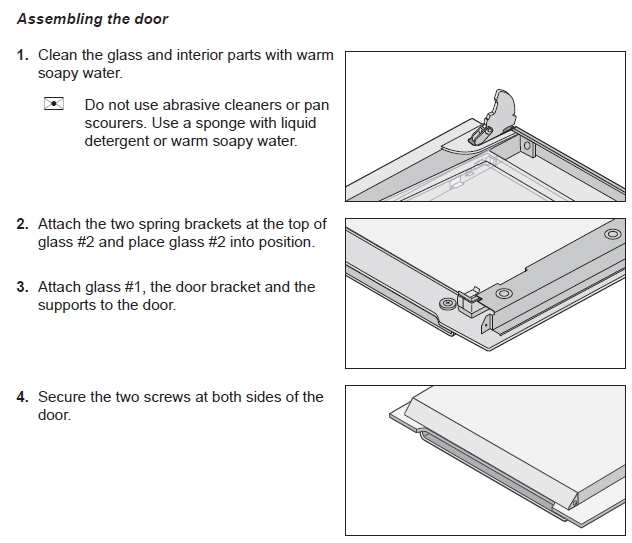 How to remove oven door and inner glass for cleaning for models NV73J and NV75J?